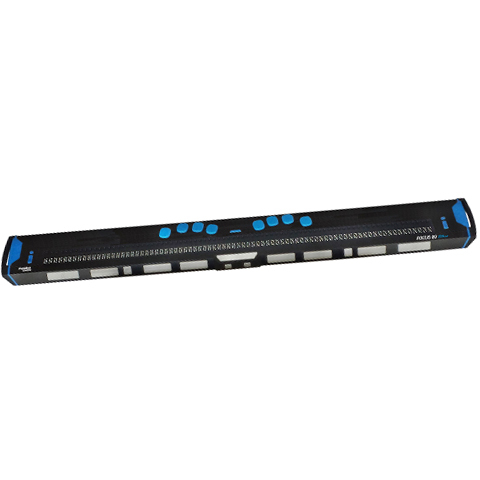 The Focus 80 Blue Braille Display is designed using the same rugged construction principles as in other 5th Generation Focus Blue Braille Displays. Its user-friendly keyboard, convenient front panel controls, and retooled Braille pins make for smooth and quiet operation. The Focus 80 Blue supports connectivity for five Bluetooth devices, has a USB-C port, and includes a built-in Scratchpad for taking notes. The Focus 80 Blue Braille Display is designed using the same rugged construction principles as in other 5th Generation Focus Blue Braille Displays. We’ve built the housing from aluminum and steel, added bumpers to absorb shock, and physically isolated the Braille cells to create a Braille Display to meet the demands of everyday use. And, like previous Focus Blue models, the 5th Generation has a user-friendly keyboard and control layout. You can have up to five Bluetooth connections so that you can easily connect to iOS and Android™ devices such as smartphones, iPads®, and tablets. You can also use the Perkins-style keyboard for effortless Braille text input to control your computer. When you combine the Focus 80 Blue with JAWS®, you have the ultimate in Speech and Braille access to your computer. The Scratchpad feature lets you take notes and read books even when you aren’t connected.